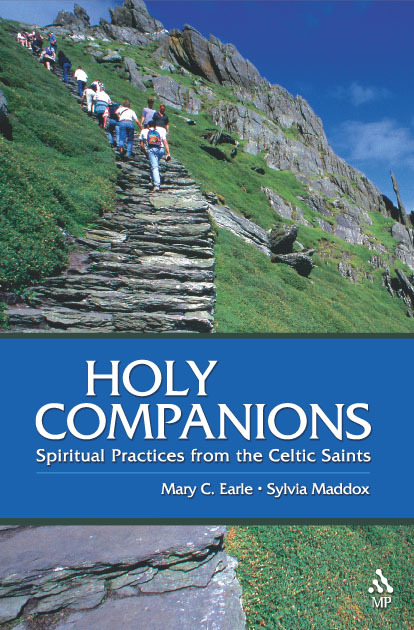 “The Celtic saints lived in times that were uncertain,” Mary Earle and Sylvia Maddox write. Those same saints “offer us a glimpse of lives characterized by a gracious confidence in the living God and a down-to-earth awareness of human need.” So it is no wonder that voices that are centuries old speak to us so freshly today. Journey along with eighteen Celtic saints in Holy Companions, and explore how the lives they lived long ago can shed light on twenty-first-century living. Discover how their spiritual practices, or practices inspired by their writings and teachings, help us become aware of human needs and God’s gracious presence in the face of those needs. These saints of long ago offer us much that is healing and strengthening as we walk with Christ into an unknown future. “Holy Companions stands out as an exceptionally well-written and balanced introduction to the saints of this richly personal and deeply corporate tradition. The book successfully guides us into a way of reflecting and praying with these saints as it introduces the stories and legends associated with them.” – John Philip Newell, author and speaker. SKU: 978-0-8192-1933-0. Categories: Books, Mary C. Earle.